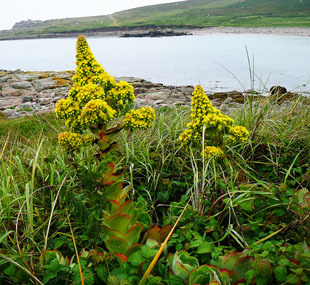 It is found in the Scilly islands and the far Southwest. 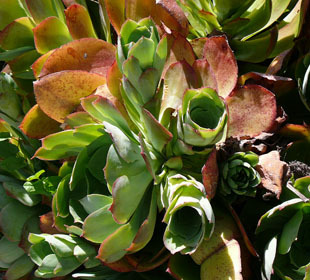 It is a naturalised escape from gardens and botanical gardens. 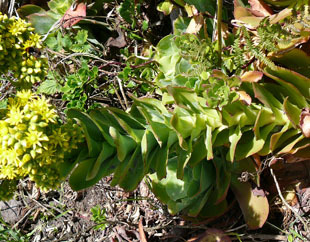 It is a neophyte from the Canary Islands. 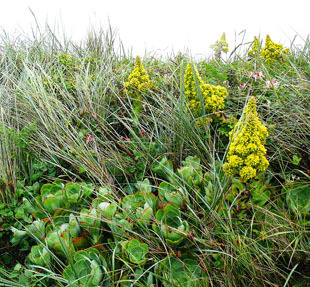 Although attractive, it is an invasive alien. 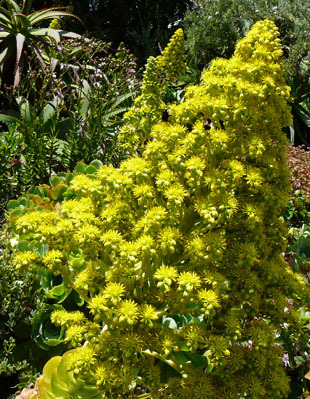 Tree Aeonium grows up to 1.5m. 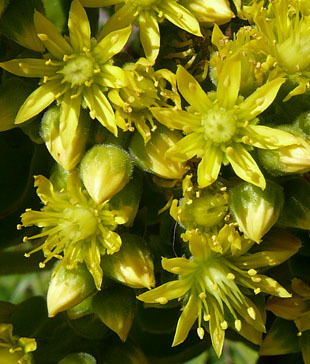 a multiflowered, yellow pyramid in spring. The rootstock is large and survives the winter. 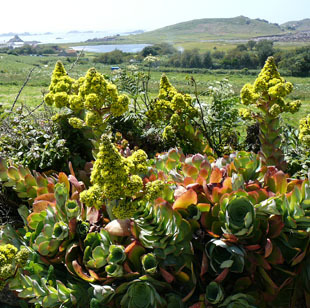 Aeoniums are susceptiple to frost, which limits their UKdistribution.